Bread & butter dill pickles! Looking for a new way to preserve your garden harvest? 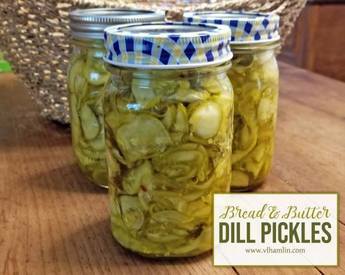 Try these amazing Bread and Butter Dill Pickles – your whole family will love them – it’s truly everyone’s favorite pickle in one jar! It’s like everyone’s favorite kinds of pickles all in one! They go great with cheese and crackers, hamburgers or straight outta the jar. Go ahead – I won’t judge! Eat them however you like! Just be sure to make them…you won’t be sorry!